Jamie Hersch is famous for hosting NHL Network’s program, On The Fly and as a reporter in “Fox Sports North”. She has been working in this field since she was at the age of 17. Jamie has not only brighten career but also the attractive personality and a perfect family too. Let’s have a look to know more about media personality Jamie Hersch. Jamie joined the University of Southern California in the year of 2005. Along with the time passing, she decided to be a sports journalist and entered in Journalism, a watchdog of the society. After all, she took an internship at WCCO-TV, a local station near her university. She worked there as a weekend anchor. And, she graduated with a Bachelor’s degree in Broadcast Journalism. Later on, 2013 Jamie Hersch joined the Fox Sports team as a studio host and sideline reporter. Likewise, she also worked with Big Then Network as a reporter for football and hockey. Then, she left them all when it was 2015. Finally, she started working for the NHL Network and hosted On the Fly. Active sports reporter Hersch occasionally hosted NHL Tonight too. Furthermore, she also worked in the MLB Network too. 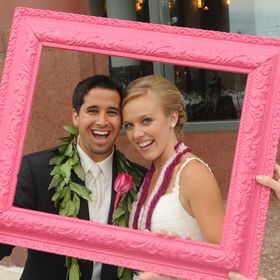 American Sports reporter, Jamie Hersch tied a wedding knot with her childhood friend Matt Burkhard on 15th June 2012. The couple knows each other when Jamie was nine years old. The couple has been married for the last six years. However, the pair has not revealed the detailed information about their married life, which social media helps comes to rescue by dropping the hints. Though the lovebirds were friends for a long time, they never revealed openly about their long-term relationship before 2018. On 26th April 2018, the couple disclosed about their relationship posting their picture on Instagram. The picture was about 12 years before and it’s only been 6 years of their marriage. Jamies also stated that marrying her husband is the best decision she has made in her life. She is happy that she got the perfect partner for her, which keeps her happy and is always adventurous. However, Jamie has also kept the identity of her family unrevealed. However, she usually shares the family picture on Instagram. She seems to have a blissful family life with brother, mother, and father.